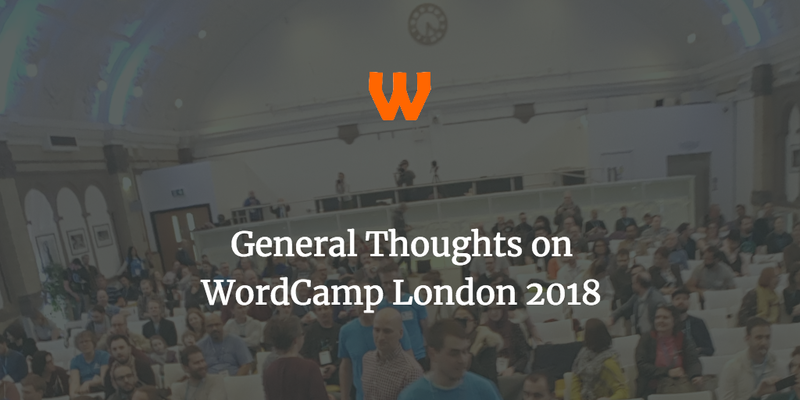 A few weeks ago I attended WordCamp London 2018, which was my third WordCamp London. In short – it was a great conference and I enjoyed it immensely. The conference was a fun few days down in London and it was a good. However, it was a different experience for me as this was the first conference I had been more of a volunteer, rather than my usual roles of speaker, organiser or just simple attendee. As such, I probably didn’t get to see much of the conference as I would like. This is both a blessing and a curse as in a way I got to experience it more, so my post comes from a different viewpoint, rather than the excellent posts currently doing the rounds that focus on the talks. I’m going to focus on my trip there, and try to give some advice so this isn’t a reflective, self-praising piece. Wish me luck, and apologies for the wall of text. I was approached if I would be an MC a few weeks before WordCamp London. I already was the backup speaker – a speaker who would jump in should somebody be unavailable, but despite a small wobble a few days before when one speaker fell sick, I was on MC duty. MC Duty is largely introducing the speakers and making sure information was shared between the organising committee and the audience, manage Q&A’s and generally try and keep things running at a decent pace. I enjoyed the MC Role. From my days of being a professional wrestler I’m quite comfortable with a microphone in my hand and thinking on my feet, so that part was fine. However there were things I could have improved on. First off, I would recommend if you do the role you should take cue cards. My run sheet was on my phone which was fine and did the job, however conveying announcements involved me unlocking my phone staring at it and reading them out. It was okay, but I did occasionally get nervous and didn’t want to create dead air so I was constantly keeping my phone unlocked to make sure that I had the notes ready. I didn’t feel, looking back, this gave the best impression. Next time I’ll come up with cue cards. Also, to avoid dead air, try to handle the Q & A in that you don’t use your room helpers as a crutch. If an asker of a question is quite near to you, and the mic runner is quite far away, go and meet them instead. This may not always be possible. Finally, and this is a big one – learn to pronounce correctly your speakers names. I hope I avoided this but everybody was polite for it. Also, and this is more me, my voice is traditionally quite loud and booming so yeah, don’t shout into the microphone. Sorry tech team! Finally on this section, one of my New Year’s resolutions this year is to be more visible in the WordPress community. By simply being the MC guy I connected with some of the speakers, some of the volunteers and also the organising team – many of them are decision makers at top agencies, and WordPress companies. This wouldn’t have happened really unless I’d said yes to the MC role. So please, please, please volunteer at a WordCamp. It’s good for you. This was certainly the case in my MC slots. We had a lot of great speakers I managed, be sure to check them out. Every single one performed. In the first session, Lee Jackson’s lightning talk on finding your why was useful and inspiring. Kayleigh Thorpe’s talk on XDebug was incredibly useful, and Marco Chiesi delivered with his talk on Grunt, I need to use more Grunt or Gulp so that was useful! In the second session Daryll Doyle gave a great talk on securing SVG downloads in WordPress. It was even more impressive as it was his first ever talk and there were mic issues and Daryll handled it well! Sabrina Zeidan gave a thorough overview of WordPress Multisite that is well worth checking out if you are needing an enterprise multisite solution. I wish it was around 2 years ago when I had such a thing to deal with! Nemanja Aleksic’s talk on building relationships to eventually build recurring revenue was great. I really found it useful with a bunch of takeaways that I found useful. Daine Mawer’s talk was interesting as it detailed developing for the developing web where data is expensive and slow. It’s well worth checking out if you have a large amount of visitors to your site coming from Africa and even being empathic with your development. Finally, Carme Mias gave a great talk on how to work developing your own skills going forward, Francesco Canovi’s talk on working with remote teams is must for any remoter and finally Steve Folland shared some great insights with some of the freelancers he spoke with. Overall, I had a great time at WordCamp London 2018. It offered a lot of things from an organising standpoint that if I ever decide to jump into organising WordCamp Manchester again I’d take away. It’s a really like a swan, in that on top it’s graceful but underneath it’s crazy paddling. Being on the sea level and seeing both sides was fascinating. 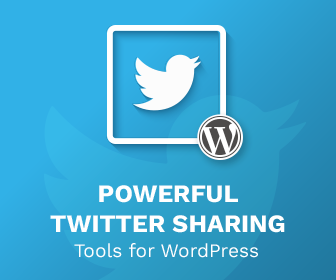 If you ever get the chance to go to WordCamp London, do so! « Hello WordCamp London, I’m Rhys!